The fourth film of firefighter-turned-director Yang Shupeng, Blood of Youth follows a young hacker named Su Ang (Oho Ou), who anonymously tips off the police about the remains of a woman buried in the woods near the city of Hangzhou. 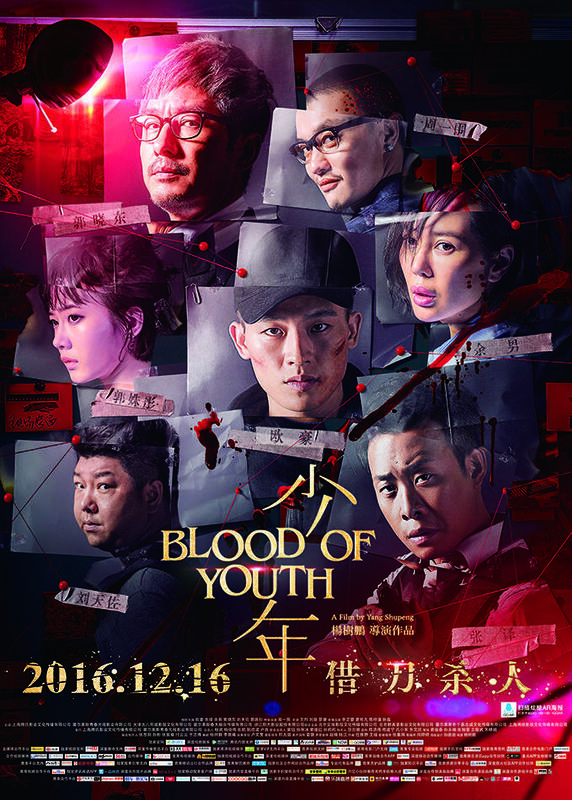 Detective Zhang (Zhang Yi) discovers the victim was beaten to death almost two decades ago, and starts investigating the events that lead to her death. But at the same time Su Ang also warns the police about a bank robbery about to happen, but just as the robbers led by Shen (Zhou Ziwei) are about to enter the bank, he tips them off too about the presence of the police. His agenda is a mystery, but it may be linked to the fact that a brain injury he sustained during his years in an orphanage is slowly killing him according to his doctor, Han Yu (Yu Nan), especially as he’s not taking the medicine that might save him. And his endgame definitely includes Lin Qiao (Guo Shutong), a young cellist whose libidinous orchestra conductor Li (Guo Xiaodong) is none other than Han Yu’s husband. 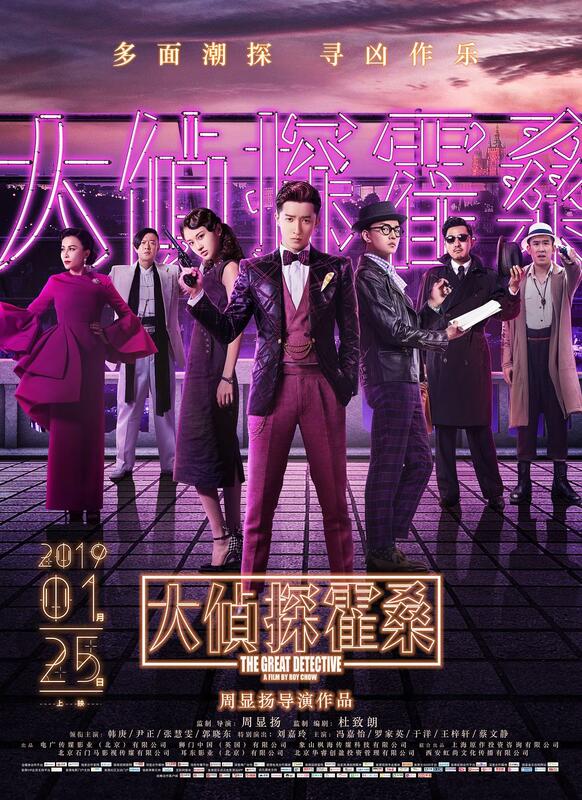 After 2012’s stylish and entertaining – and much less derivative than it’s been made out to be – The Bullet Vanishes, Lau Ching Wan’s inspector Song Donglu (Lau Ching Wan) is back, his adventures still written by Yeung Sin Ling, produced by Derek Yee and directed by Law Chi Leung. This time, Song investigates a series of strange suicides: factory workers throwing themselves from atop buildings, to protest their exploitative employer, corrupt businessman Gao Minxiong (Guo Xiaodong). 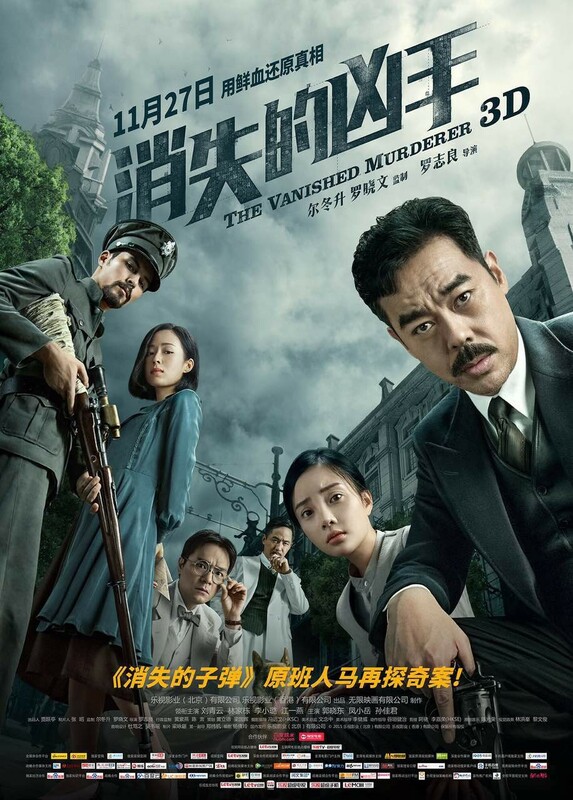 Song surmises that they’ve been ‘forced’ to commit suicide, and has reasons to think that Fu Yuan (Jiang Yiyan), a woman whom he brought to justice after she almost got away with murdering her abusive husband, and who counseled him from her prison cell in The Bullet Vanishes, may have something to do with what’s happening. Indeed, she recently escaped from prison, and it was to bring her back there that Song was in town. Other suspects include Hua (Lam Ka Tung), a professor with a morphine addiction who has been in contact with Fu Yuan and shares her appetite for criminology, and Mao Jin (Rydhian Vaughan), who may or may not be a dirty cop. As the plot thickens, Song can count on the help of Chang Sheng (Li Xiaolu), a woman he left at the altar years ago, and who’s sticking with him, hoping to get closure.